Lale’s mother stay up with Shattuck day and night for 4 weeks… I don’t think we can thank her enough. 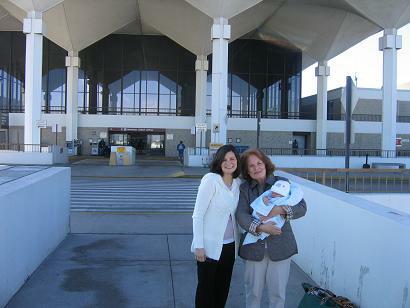 We took her to the Airport Saturday morning. When we got back in the car… we looked at each other and realized that now we were on our own. So, I said, ‘What about going to Oxford to lunch?’ So we headed down the road to Oxford. We stopped by to see Marthe Ma in Batesville. She just got a pacemaker and was doing great! Below is a picture from a few months ago when Lale was a few months pregnant with Marthe Ma. After a nice visit, we went on to Oxford. 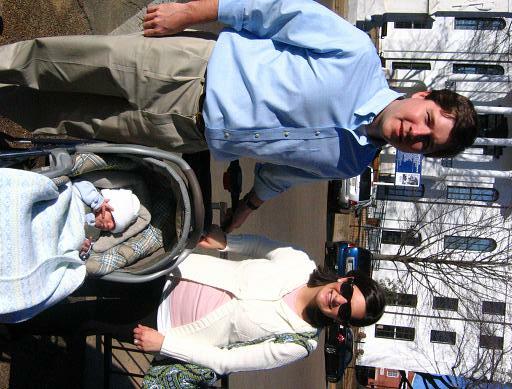 I called cousin Cooper Hopkins when we arrived and he told me he and his mother were having lunch on the square. We stopped by to say hello. Cooper was on his way to a Phi Delta initiation party. Lale and I had lunch at Proud Larrys. Nothing has changed in that place since we had our first date there 10 years ago. Shattuck did great. Then we walked around the square. I made us leave when Lale found a dinner ring in Jewels by Annette on the square she really wanted. 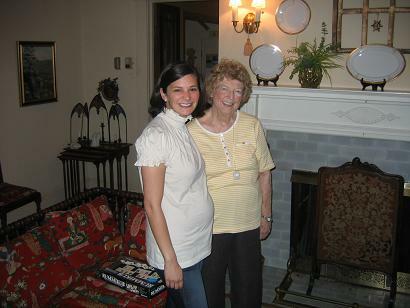 When we made it back to Memphis, we joined West, Elizabeth, Anne Hartman, and West Jr at their home for a steak. Mary Jane and Buddy Hemphill were there on their way through to Little Rock the next day.